Arrangement of silk lilies and daisy in designer vase. 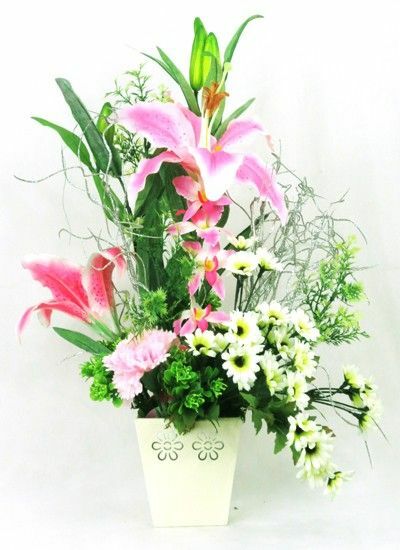 A perfect combination of artificial white daisy and pink lilies with glitter twigs nicely crafted in a metal vase. Color : Pink, White Material : Synthetic Cloths, Metal, Wood, PVC, Rubber Product Dimensions (LxBxH) : 10"x10"x12"